Can I benefit from Buteyko? Currently the research evidence shows that Buteyko can help to improve the symptoms of asthma in adults. Although people with other breathing problems such as COPD have used Buteyko there have been no research trials to look into the benefits of Buteyko in conditions other than asthma. It is hoped more research will be carried out in the future. Will Buteyko cure my Asthma? No, Buteyko is not a cure for asthma. Research studies have shown people using Buteyko often reduce their asthma medication over time however any changes to asthma medication must be done with the agreement of the prescriber, ie. your asthma nurse, respiratory consultant or GP. Is there any evidence that Buteyko actually works? Yes there have been many randomised controlled trials (RCTs) looking at Buteyko for asthma since the first trial published by Bowler in 1998. The accumulation of research evidence has led to Buteyko being included as a dysfunctional breathing reduction technique in the BTS/SIGN Guideline on the Management of Asthma* stating that it may ‘improve asthma symptoms, quality of life and reduce bronchodilator (blue reliever inhaler) requirement’. No, you won’t be asked to do the type of exercise where you need to run or go to the gym. The Buteyko exercises are not physically demanding. In fact the majority of the programme is carried out sitting comfortably in a chair. However, your teacher will suggest ways that you can increase your fitness such as regular walking and will talk to you about you how you can incorporate correct breathing into any activity. You will learn breathing exercises and simple techniques to help you to improve the way you breathe. On average BBT exercises need to be carried out 3 times a day for four to six weeks. The exercises involve normalising breathing rate and volume, they are practised until an improved way of breathing eventually become automatic (rather like learning to ride a bike). You will learn and practise Buteyko with your teacher, and then you will need to continue at home on your own. By following the Buteyko programme most people notice a significant improvement in their condition within a couple of weeks. Buteyko is easy to learn but there are often individual needs which arise when practising the techniques, so it is best learned with an experienced teacher. What else is the Buteyko programme? Most people with breathing problems recognise that stress and emotion can play a part in worsening their symptoms and so learning to relax forms an important part of learning Buteyko. Teachers may also give conventional advice on healthy eating, maintaining a healthy weight and promote exercise. What will my doctor think? 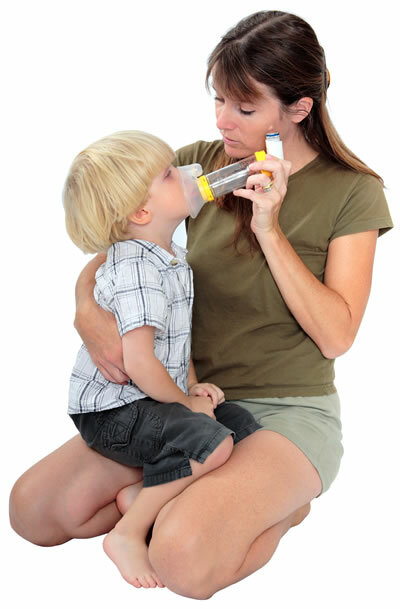 Buteyko is a breathing therapy which can be used alongside conventional drug management of of asthma . The BTS/SIGN Guideline on the Management of Asthma mentions Buteyko as a dysfunctional breathing reduction technique which can “improve asthma symptoms, quality of life and reduce bronchodilator (blue reliever inhaler) requirement”* Doctors and asthma nurses should be familiar with this guideline and it should guide their practise. There are many clinical trials supporting the Buteyko Breathing Technique for the treatment of adults with asthma. Currently there is no research evidence for conditions other than asthma. BBT is included in the British Guideline on the Management of Asthma. All the evidence indicates that BBT is safe and no problems have been reported in any of the clinical trials. Trials showed that there was no increase in asthma exacerbations requiring steroid tablets, A+E or hospital admissions in the subjects being taught Buteyko, neither were lung function tests adversely affected. BBT is a complementary treatment, which means BBT and conventional medicine are used alongside each other.. As patients progress with BBT research has shown they are likely to need less medication. BBT is taught in some NHS hospitals and GP surgeries by qualified health professionals and this number is increasing all the time as more train on BBA accredited courses.